Students step or hop to segment words into sounds. Lively Letters use engaging pictures and stories to help students remember the letter sounds. 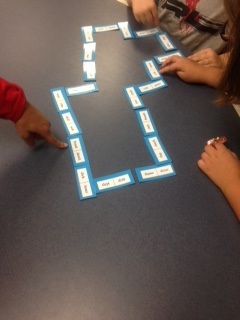 Students play dominoes, using their word wall words. Students "scoop" phrases to help them read more fluently.